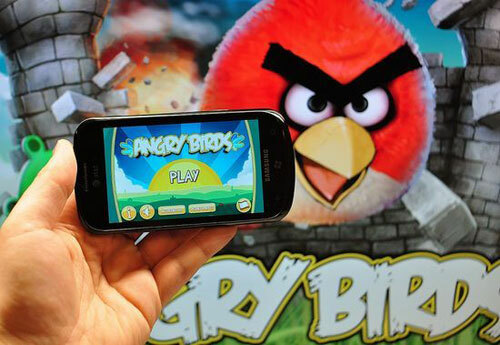 The most popular game Angry Birds has made a public announcement that it is accessible in Windows Phone 7 App Store. Angry Birds firstly made a debut on iOS platform and after Rovio Mobile released Android version and Google Chrome version. Windows Phone 7 version has 165 levels in total, supports Xbox LIVE playing mode and with a price $2.99. Swiffy—a new tool from Google Laboratory, which can convert Flash on various devices to HTML 5, so as to supports more new browsers and devices. This converter can split and reorganize SWF file to HTML, Scalable Vector Graphics and Cascading Style Sheet. File rendering performance is quite good after conversion. During Blackberry World 2011, RIM not only officially released the brand-new Blackberry 7 OS but also made a public announcement of two new phones—Blackberry Bold 9900 and Blackberry Bold 9300, both of which are running on Blackberry 7 operating system. 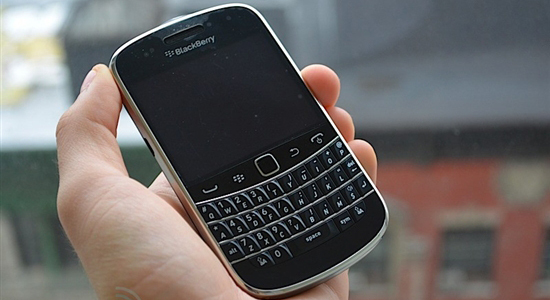 Blackberry Bold 9900 also adopts the traditional candy bar full keyboard design, 10.5mm thick and with 130g weight. It is the first time for it to employ silver mental drawbench design which makes this business phone mixing with fashionable and youthful elements. Besides, it employs 2.8-inch screen and 640×480 resolution so that you can convert video to Blackberry Bold 9900 for visual and audio enjoyment. What should be mentioned it that although it is with full keyboard, it is also a touch screen. This new Business flagship phone 9900 runs on Blackberry 7 OS, equipped with 1.2GHz Qualcomm MSM8655 processor, 768MB RAM and 8GB ROM, 5-million-pixel camera that supports 720p HD video recording. In addition, Blackberry Bold 9900 is also with 1230mAh battery and functions such as WiFi, Bluetooth, NFC and GPS. Blackberry 7 OS has redesigned the icons inside. It most adopts tangible icons, and takes Liquid Graphics touch screen technology and brand-new voice search. Besides, Blackberry Balance function has been added to the OS so that users can part private information and work information. Based on the rumors, Blackberry Bold 9900 will be officially release in September. Honeycomb is an Android operating system Google designed for tablet computers. It has upgraded from V3.0 to V3.2 in a very short time. Huawei had announced its new 7-inch MediaPad, claiming it was the world’s first Android 3.2 tablet. The slab has a nice array of specs to be sure—an IPS display, dual-core 1.2GHz Qualcomm processor, and 1.3/5 megapixel cams—but that Android version number is the most interesting of the list. After all, Android 3.1 just launched a few weeks ago and Ice Cream Sandwich will arrive sometime in Q4. Well, believe it: according to three independent sources, Android 3.2 will be the last Honeycomb point upgrade before Google opens up the Ice Cream Sandwich freezer, and it will indeed run on a “range” of screen sizes, meaning that proper 7-inch Android tablets are about to become a reality. We’re also hearing that 3.2 will offer support for Qualcomm processors in addition to the NVIDIA Tegra 2 silicon currently powering today’s 10-inch tablets — a move which makes complete sense, considering both the 7-inch ASUS MeMO and Huawei MediaPad pack Qualcomm’s new dual-core Snapdragon chips. (That also means today’s Qualcomm-based 7-inch tablets like the HTC Flyer would be finally eligible for Honeycomb, but that upgrades will depend on how quickly HTC can port Sense over to the new code.) Lastly, we’re told that 3.2 will offer some bug fixes and improved hardware acceleration, as well as updates to Movie Studio, Movies, Music and widgets. Not bad for a quickie point upgrade less than a month after 3.1. As for timing, we’re told that current tablets like the Motorola Xoom will get the update in the “next few weeks,” with new seven-inch tablet hardware to follow in August. We’ll also have to wait and see how this will affect the Ice Cream Sandwich rollout — with Android updates coming this fast we’re finding it a bit hard to believe that Google will be able to stick to its upgrade promises, but we’re all for being proven wrong. 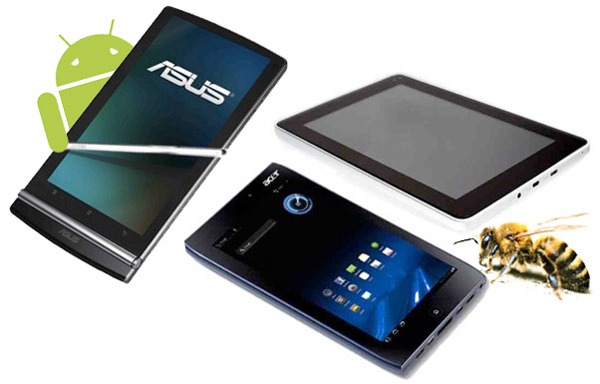 Tips on Android Tablets: Motorola Xoom Tip, Samsung Galaxy Tip, HTC Flyer Tip. Based on the HD screenshots of iOS 5 from a blog, it is supposed that Apple’s iPad 3 could feature a high-resolution retina display. Rumors of a high-resolution “Retina Display” for Apple’s next iPad, never far from the surface, came roaring back after the blog posted screenshots of some extra-large images in iOS 5, the upcoming mobile operating system for Apple mobile devices. That being said, other rumors have pushed back against the idea of a late-2011 release for the iPad 3. In an April report, the publication DigiTimes quoted unnamed “upstream component makers” as saying that Apple was still deciding on possible panels for future tablets, with any resulting products “unlikely” to make a showing in 2011.Any iPad 3 theories contribute to what’s already a media-fueled furnace of scuttlebutt over everything iPad-related. Apple’s lack of official word on its upcoming product has a way of working analysts and bloggers into a speculative froth. In the months ahead of each iPad’s successive unveiling, the blogosphere typically buzzes with “news” and rumors of possible features and form-factors—many of which, inevitably turn out to be wrong. How to Convert Video to iPad for Enjoying Anytime Anywhere? How to Transfer and Convert Video to iPad on Mac?